Sometimes reminder lists are not so bad. Whether they be grocery lists, to do lists, or travel lists. My memory isn't what it was five years ago. And when I got in a hurry a few days ago to get a few hours of fishing in before a doctor's appt... Well, I forgot something. And something that would be very important to a fly fisherman. The waders!! Yikes... The cold water from the dam would be felt through my wet wading pants for summer months. April in Utah is still darn cold. 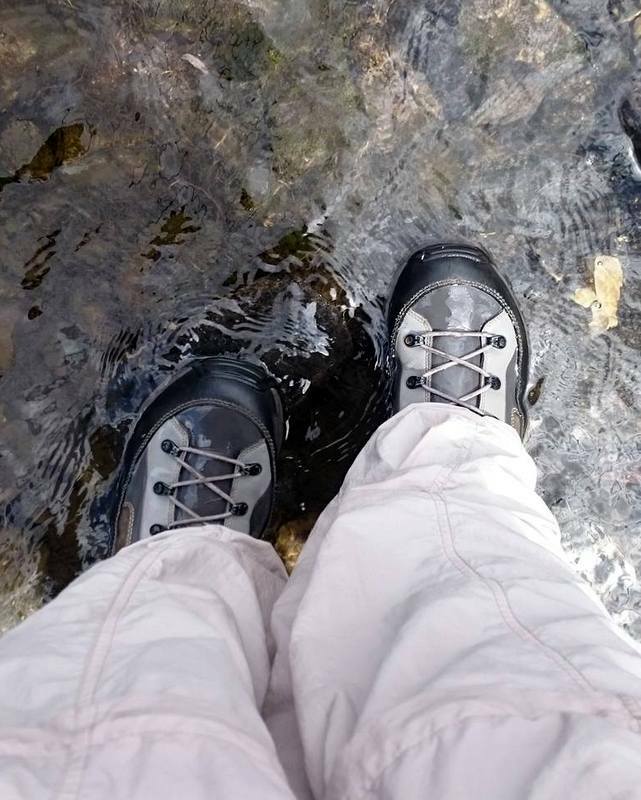 But, it was too far for me to go all the way back home, so I suited up with my wet wading pants and boots. A couple steps into the brisk water would teach me a lesson. I told myself that I would stay for just one hour. Catch a fish and call it good! So, I start walking down the path of no return (to get my waders) and I come upon this older gentleman, who is just getting ready to cast a fly into the water. I tell him that I won't be there too long. After he hears of my predicament, he offers me two "money" flies for that river that should get me that fish quickly, so I don't have to chill too long. I already have my setup to start off with, so I tuck these flies away for the next fly change. Well, I was lucky to have at least my sows that I tied the night before. I had put those in my purse. But, my clippers, forceps and two containers of the bugs for that day were in the wader pockets, miles away. No need to fear. Boom! And another boom! Well, he was amused. I gave him my sows for him to try. And gave him my spot as it seemed to be the "hot" spot for the time being. A couple minutes later he had a nice brownie. I caught a couple more and decided that I would like to feel my toes again. Haha! So, I left for the doctor visit. But, what a great morning with a new friend and a great fishing companion. Thank you, Don! My last fish was on the fly that he gave me. Well, I left you all in suspense about the contest that I was in last month. You probably forgot about it by now... 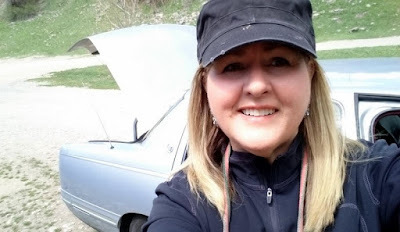 I'm slow pokey on this blog sometimes! = ( I was very fortunate to win among so many great contestants. 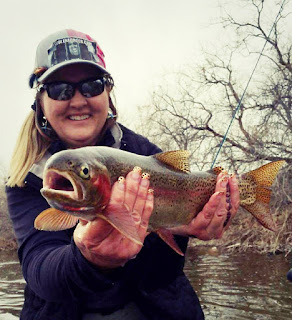 So much talent in this group of fly fishermen and gals. Rob and I were the finalists and both had beautiful rainbows. I only beat him by a point or two, so it was so close. Thank you, Rob, for putting me on this bow. 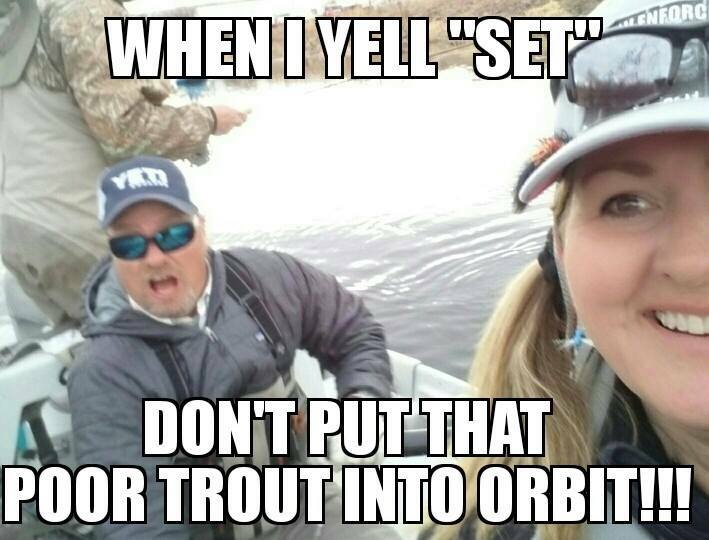 He told me in the boat that it would be cool if I beat him with a fish that he netted for me. A great guy for sure. It was a lot of fun to participate in this event. This was judged by the Castle Rock Middle School fly fishing club. Thanks to them and their teacher, Nathan Moore, for putting on such great contest! This was the meme that I made up, jokingly of course! As you can see... We both had really awesome fish. So much fun. I hate it when I forget stuff! It happens more and more frequently these days. We are in the same boat I'm afraid!!! This blog came up on my blogroll today and it took me a while to figure out who it was. I don't see much movement on the bottom couple of blogs on the list. Not to be contrary, but fishing contests don't do much for me. 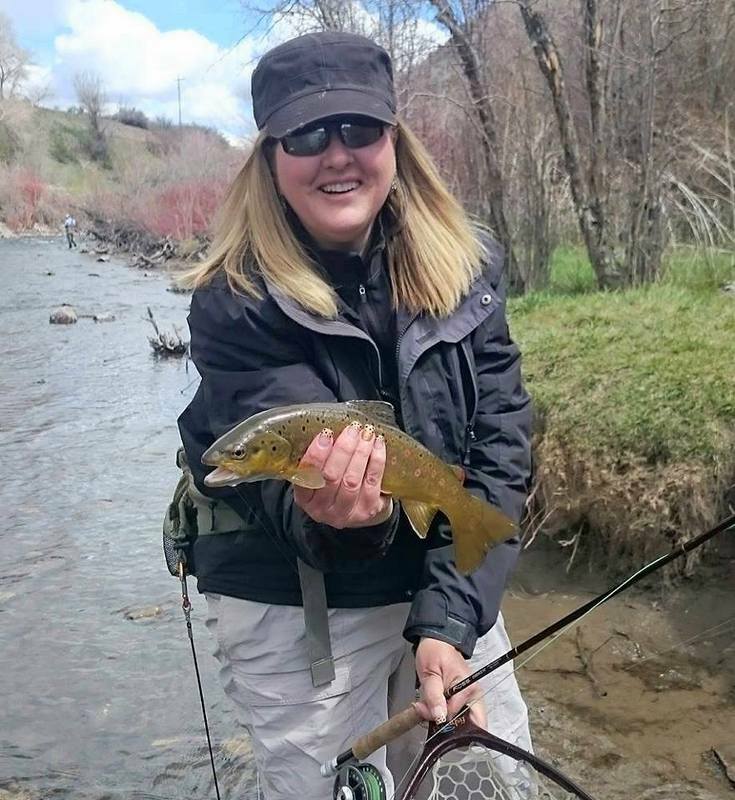 But I know you are truly in heaven right now being able to get out and catch so many trophy fish, so I'm happy that even a trip where you forget your waders turns into another great day for the The Damsel. 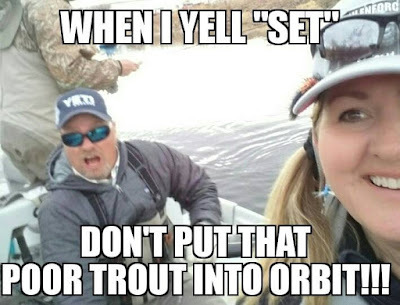 I hope you like catching small fish too! I have meet some of the nicest individuals on the two tailraces I fish here and in Tennessee. As with you anyone is always eager to share info. with you. 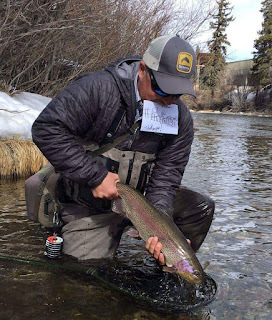 I have been there when it comes to forgetting fly fishing equipment--Forgot my fly rod before--this happened only once----I keep my Streamflex 3 wt. under my backseat in my pickup now. There is a box compartment there and it houses my waders, fly rod reel, chest pack, boots and anything I need for trout fishing. Actually no on would ever know that the compartment is there. I'm glad to know that there are others that share the "forgotten" things on the list. That truck sounds amazing! I have seriously thought about having a separate travel bag with just an extra of everything... Then, there would never be a problem! Haha. Thanks, Bill. Charming story about your new friend and the waders. I always forget stuff, in fact I think the more deliberate I am to make sure I remember, the more likely I forget. Cool to see you made the best of the situation and just didn't give up and walk back. Some of the best memories are born from mistakes.